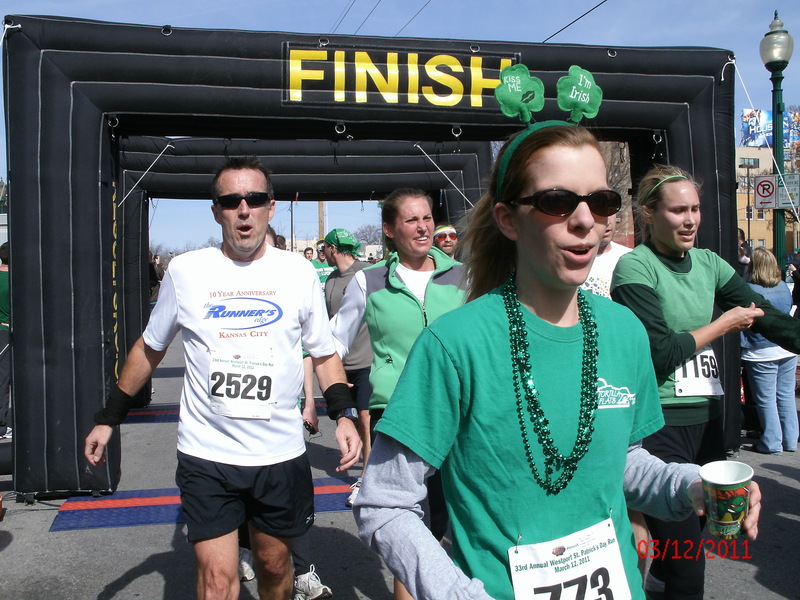 KCTC hosted the Westport St. Patrick’s Day 4 Miler with 3,600 runners. 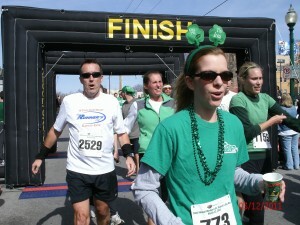 The day was perfect for a race and everyone was able to party afterward- outside! 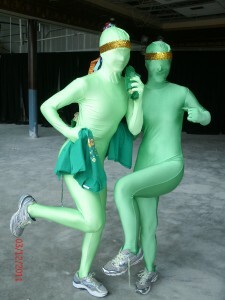 Pictured is Roger Samuel, KCTC member, crossing the finish line and two aliens that flew in for the race.